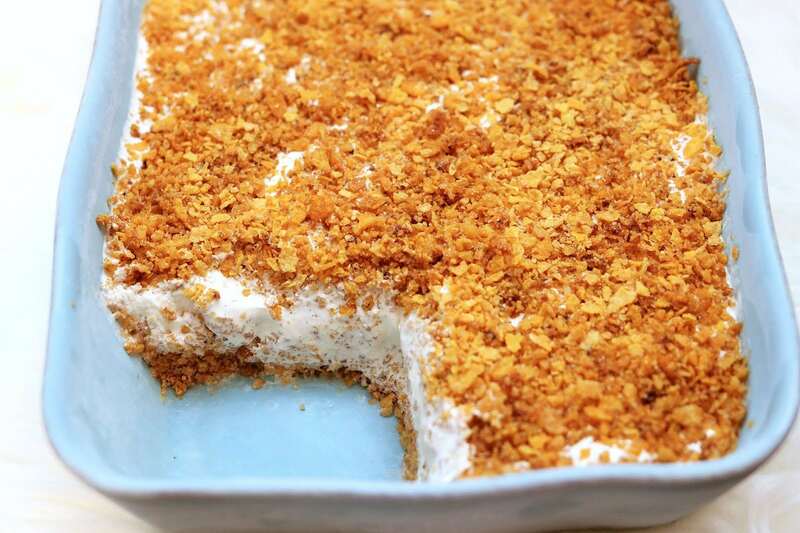 Make a pan of this cool, crunchy no-fry fried ice cream. You’re about to fall in love with it, we sure did. When I was a kid, one of my biggest food thrills in life was discovering the joys of fried ice cream. 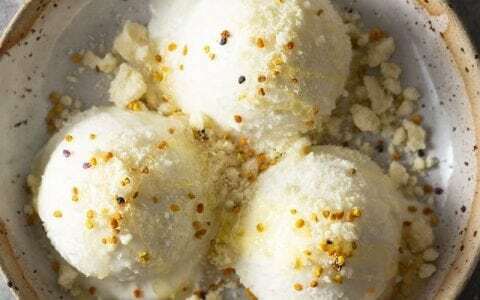 I vividly remember the first time I tried it: I was at a friend’s birthday party at a popular Mexican chain restaurant in a neighboring town and as we enthusiastically sang/shouted a rousing rendition of happy birthday, several servers swooped out of the kitchen loaded with bowls of glistening fried ice cream. As a super fan of all treats involving ice cream, I enthusiastically dug in and was immediately enamored. It was love at first bite; I was all about that hot/cold contrast and the gooey, crunchy coating surrounding the sweet ice cream balls. I’m pretty sure I completely licked the bowl clean! 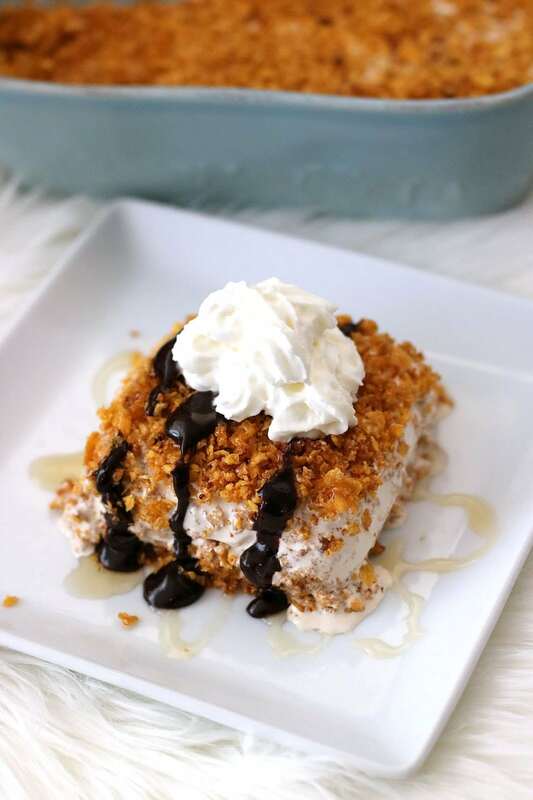 All these years later, I still love a good bowl of fried ice cream; however, I do find much of what I’ve had in recent years to be a little too… well, fried. On the rare instance in which I have fried ice cream, I find it tends to be far too greasy – the crispy shell quickly loses its crunch because it’s weighed down and can’t hold its own against the melting ice cream. 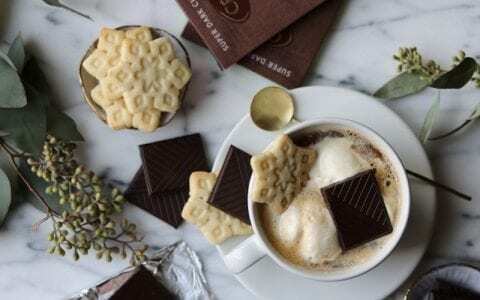 I also find many versions to be overly sweet (and yes, my inner ten-year-old is aghast that I now find many of my favorite treats to be too sweet!). 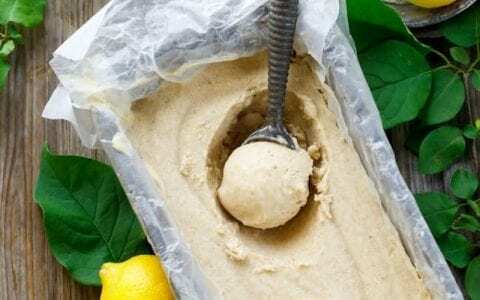 When the fine folks at Turkey Hill offered me a chance to create a recipe using their all natural ice cream, I knew it was the perfect opportunity to try my hand at an updated/lightened up version of one of my childhood favorites! 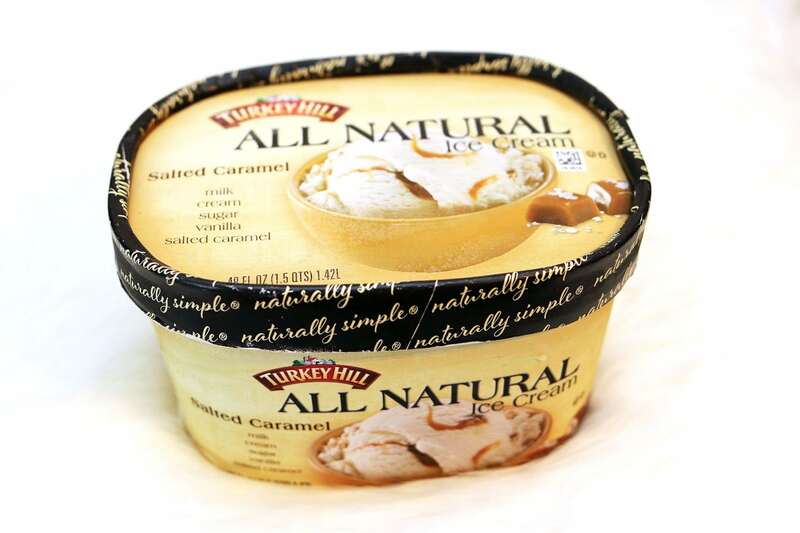 Turkey Hill makes their high-quality all natural line in Lancaster County, PA, using only the simplest of ingredients, like milk, cream, sugar, and natural flavors – there are no artificial colors, artificial flavorings, or stabilizers (it’s the way they started making ice cream more than 80 years ago!). 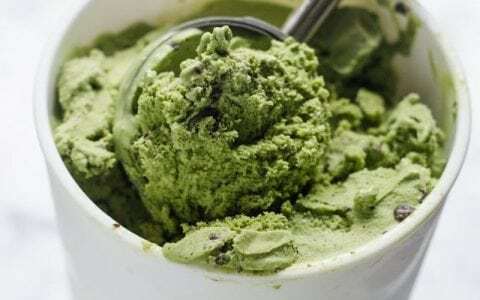 What started as a modest dairy farm/milk delivery route back in the 1930’s has now grown into one of the nation’s leading producers of ice cream. 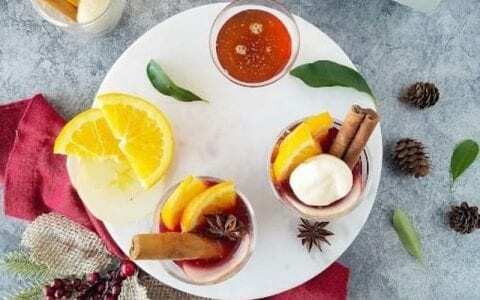 Turkey Hill offers 20 different options in their All Natural line, including Vanilla Bean, Belgian Style Chocolate, and fruit-infused favorites like Blueberry, Mango and Blackberry Swirl. 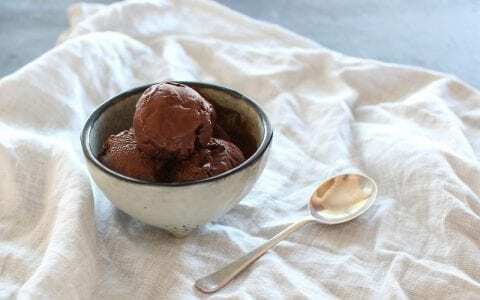 This version of fried ice cream keeps my favorite aspects of the traditional recipe while incorporating a new flavor element: Salted Caramel ice cream (the Turkey Hill version is particularly smooth). 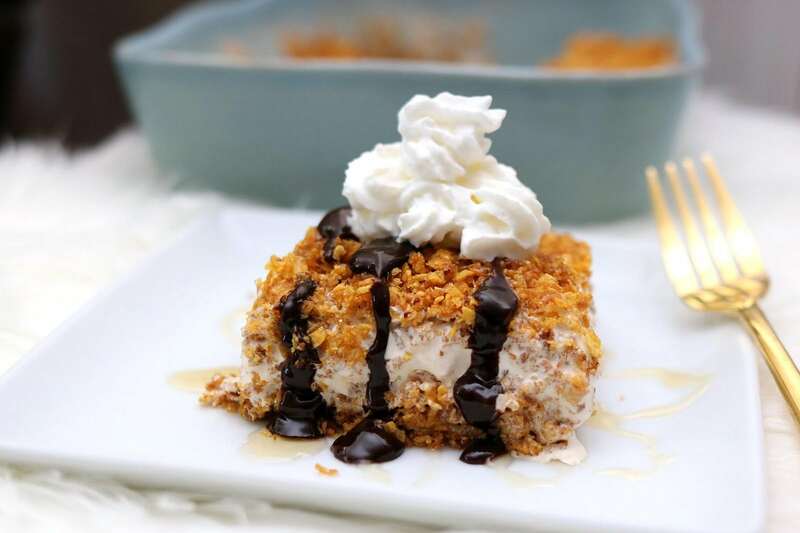 It also removes the messy deep-frying process (thus eliminating the greasiness) while still maintaining the perfect amount of crunchiness the dessert is known for. It’s such a delicious twist on a classic! Now it’s time for you to get your hands on some delicious Turkey Hill samples. 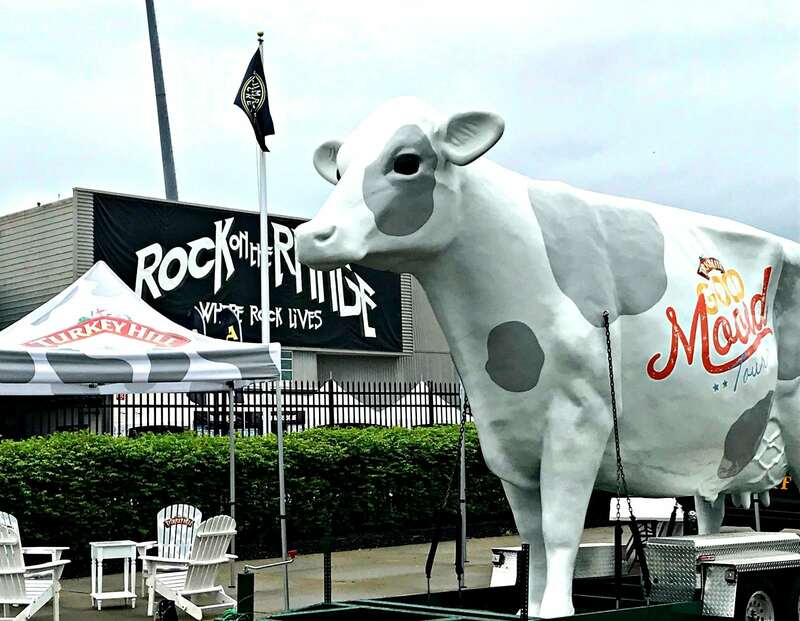 Turkey Hill is embarking upon the Good Mooed sampling tour (complete with the adorable and very photogenic giant cow!) across the Midwest and East Coast. All of the dates for the Good Mooed sampling tour and further info can be found here. For those of you in Chicago, make sure you stop by Mariano’s at 3350 North Western Ave on 6/20 for a taste of their new Decadent Delight Bars! 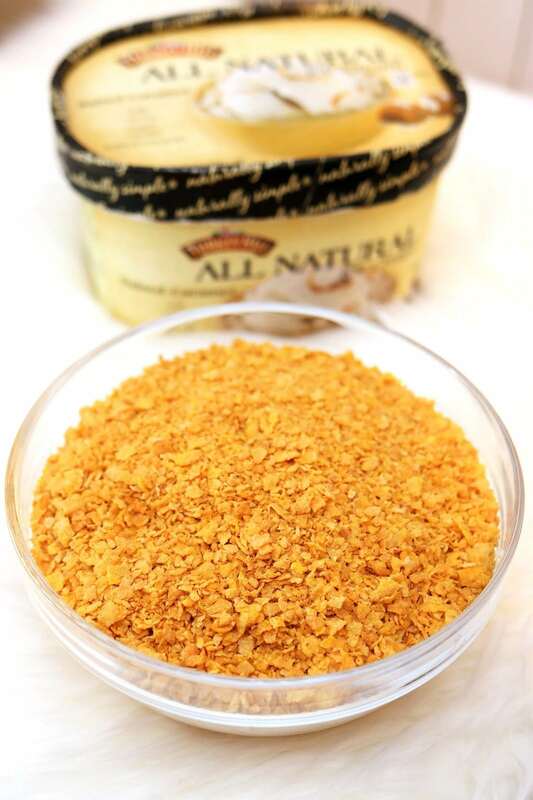 Click here for the no-fry fried ice cream recipe. 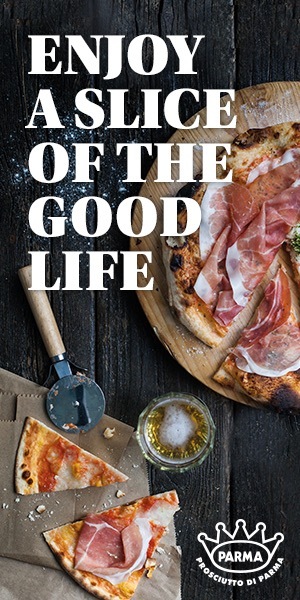 My name is Starr (yes, that really is my given name, and no, my parents weren't hippies) and I'm a 30-something writing professor by day and not-so-secret foodie by night. Along with being a professional grader of essays (or "dream killer," as my boyfriend has affectionately nicknamed me) and an unofficial taster of all donuts, I'm also a bibliophile, an Anglophile, and an enthusiastic supporter of cocktail hour. I'm not a chef or a professional food critic; nor do I work in the food industry (although I did once work for a culinary school! ), but I am passionate about food culture. 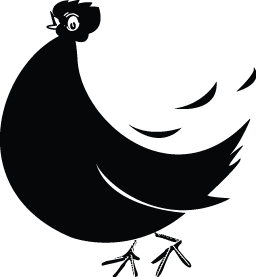 I spend an inordinate amount of my free time trying new restaurants, attending culinary festivals, stalking food trucks, trading tips and cooking with my foodie friends.